"Excellent All-in-One Platform to manage Events, Memberships, CRM, Email Marketing and More"
Best part for me as Deputy General Manager is easy set-up of roles & permissions to manage and restrict access to certain pages for temporary staff and some of our interns. Creating events has never been easier with members now being able to sign up online and pay for the event using their preferred method. Personally, I am also a big fan of the EventBank Manager mobile app. It is now so easy to monitor sign ups for events, membership renewals, email campaigns and check in attendees on spot . Can't think of anything we would dislike. If we have any issue, our account manager is always there to help us. We wanted to replace several out-dated technologies and instead use one integrated software for our internal operations to manage our events, memberships, email campaigns and . "Very Useful Event Management Software"
It's super easy to create event pages, send out event invitations and check in attendees when they arrive. We can also track the whole history of engagement so we know who attended which events, which emails they opened etc. The software itself is not in Danish, so we can't publish our events in Danish, but it's okay as our attendees can all speak English. We switched from eventbrite because now we can manage our multiple events better and easily duplicate all the settings, payment methods, design etc. Saving a lot of time with the software, also our event pages look much more professional and mobile app for attendees is another premium service that we can now offer to our attendees. "The best software for events, membership and campaigns"
This software really helps the chamber effectively from membership, events, and campaigns to invoicing. Easy to export documents, etc. We don't have many options for payment methods (like payment by cash) but just it. Everything's perfect! Perfect software to use! Easy to set up the events and invite participants. Eventbank is trustworthy in terms of inputting database and in regards with events, it's easy to see how many participants we are expecting in a particular event. The benefit is that it is way easier to reach out to our members. This is a perfect software for chambers of commerce! 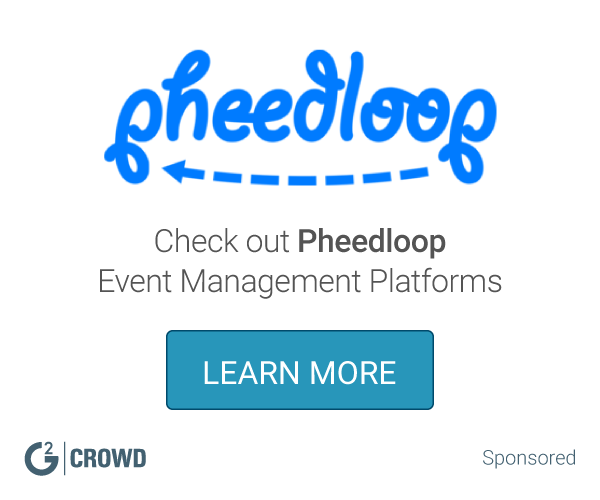 "Event Management for the 2018 St Patrick's Day Irish Ball"
EventBank is a very user friendly platform. It allows you not only to create and mange events but also has the added functions of financial management, reporting and creating and sending emails. Not only was the software great to use the Customer Support provided by EventBank was excellent, all our queries were dealt with in a timely and professional manner no matter how trivial. Eventbank also provided a support team on the night of our event which helped with the smooth running of the check in process. This is not a dislike and is very much an event specific "bug" while individual tickets can be created very easily as a back end user there is no function to create a batch of tickets for a whole table. It is not a necessity, however, if possible would be a great time saver. I would recommend EventBank for event management for not only the quality of the software package but also the great customer support service provided. EventBank allowed us to monitor revenue from sales, issue information via batch emails and to add to and update our contacts database. The EventBank made suggestions on updating and refreshing the webpage making it more attractive to customers and sponsors. "Great product for event management and email marketing with fast & efficient customer support!" EventBank allows us to build great-looking event pages in few minutes. Platform is easy to use and offers everything that modern event organizers need in 21st century. Great thing is that the platform is in several languages, including Korean and we have an option to publish events in multiple languages. EventBank apps are also great and they come with the software for free! Their customer service is great – can speak both English and Korean and we get a reply to every query super-fast. Minor bugs appear here and there, but they are always resolved quickly. "ED comments on EventBank app for Chambers of Commerce"
Our Chamber (Thai-Finnish Chamber of Commerce ) has had problems with our staff resources and people operating the EventBank system change too often. Now when we still invoice our members the system sends our members notifications to renew their membership but by clicking the renewal the system will not lead them anywhere as we do not have the invoicing done by EventBank. Maybe we should as this also reduces the chamber workload AND we then know who actually paid for their memberships as the Thai banks do not give you information as who has paid. Without the scanned payment slips we have no idea who paid. We are changing our bank to Bangkok Bank that is a commercial bank and hopefully this change will give us better service. However paying EventBank a % of the invoices would still be the best solution. Now as more organizations are organizing events together there usually is now a google cloud page created for sign-ins and TFCC either gets the sign-ins from the EventBank site and adds every signed person to the dedicated google cloud excel sheet OR we then inform our members and other invitees only of the link to the sign-in. So basically there are always sync problems with the other sign-in solutions among many organizers who do not use EventBank app and then again with the existing websites of the organizations as linking the new member application page directly to the EventBank system seems to cost a lot to do with the APIs and other technical work. I cannot really give you detailed info having not used the cloud service so long. However the total package solves a huge communication and CRM need. "Effective Events Management in a Multi-lingual Platform "
It's pretty easy to use EventBank to promote events via mailings and set up RSVP. Also, I have found it convenient to check in guests onsite to verify their registration. Moreover, the EventBank supports several languages and meanwhile it works fast in China, unlike some international websites working slowly in China or Chinese apps without a Chinese surface. Sometimes, I get confused about the two EventBank websites -.com and .cn because they both have English home pages while my administrator account is only valid in one website. So, upon logging in a new device where the right website is not saved as a bookmark, I have to try both sites before I log in successfully. I think it would be even better if there are more styles to choose from in the publishing events page? I mainly use EventBank to set up events registration whenever EO organises any external/sometimes internal events. "Best Event Management Software We Used"
I love we can build our own dedicated event websites in few minutes and they all look great. We can easily add other subpages like Sponsors / Bios / Map etc. EventBank apps are also great, the one for organizers let us manage our events anywhere we go and is also very helpful for checkins. The other app for attendees is also great as attendees can see all the info about the event and network with other attendees. It would be great if I could add custom button to event invitations, at the moment this is only possible in regular email campaigns. If you run multiple events, this is probably the best software for you - scaling up with EventBank is super easy and we are able to host multiple events each week and easily copy custom design and other settings. "EventBank, a very helpful tool for event management "
Very intuitive to use. Offers many automatic functions like ticket sale, payment and confirmation, as well as email reminders to participants. Offers diverse design templates and functionalities that can be customised. Great customer service. Served us not only for organising the event but also for promoting the event through detailed event descriptions, speaker bios, sponsor page. Offers a very helpful app for both event managers as well as participants. Very easy to track and manage ticket sales and registration lists. We used EventBank with an umbrella page for a complex series of 11 events in 8 days and 8 different venues. The complexity tested the limits of the software in terms of flexibility and customization. Not possible to show more than one venue. Also, not possible to link iCalendar to specific event but only to entire 8 days nor to disable this function. However, this degree of complexity is certainly an exception for events managed by EventBank software. Incredibly easy to use, both for our admin who created the event online but also for our staff at the check-in desk on the day of the event. Seamless and customizable excel sheets for attendees information makes CRM simple and enjoyable. Excellent user support and customer service - EventBank team members supported throughout the process of setting up the event, polite and helpful. Can't wait to use it again! Nothing negative to say! This was our free trial, looking forward to using the software again in future events. Save time to create and promote events online. Makes registration before the event but also the signing of people in on the day of the event easy and smooth. "With back-to-back events, our experience has been generally positive and seamless." The comprehensive team and roles/permissions have been very useful. Apart from the EDM and CRM features, there are limited attendee engagement features. We mainly use eventbank to manage our event registrations globally and though there are a couple more features that we would've liked added, the current ones suit my organization's needs perfectly and the global usability (language, templates, and server options) and ease of use make it event more perfect. Integrated member, event, marketing and finance modules provide a comprehensive solution to our chamber needs. This allows all members of our team to integrate our work across departments. We have only encountered minor issues with EventBank that have been quickly responded to and resolved by their customer service team. Bonus system improvements have also been made based on our suggestions. Recommend it especially for member-based organizations. EventBank's member function helps us differentiate between general clients and our members, which is important to us as a member-based organization. Its event function allows us to automate registration which saves us a lot of time. "Beautiful platform with close-contact customer support team"
The Eventbank layout is the best I've seen on the market. It is miles ahead of the next best looking event management platform UI. The back-end user interface is a bit complicated. The platform could benefit from more documentation or a more intuitive design. Many of the ticket features aren't immediately comprehensible. It's not easy for us to find time to sit down and train interns on how to use Eventbank. We've centralized all of our event planning on the Eventbank platform. It makes it easy to collect fees or share event information. Thank you for submitting the review and constructive feedback. If I may, I would recommend you to connect with your Customer Success Manager. We have extensive documentation that could help you make the most of the EventBank Platform, including a full library of Webinars, Tutorials, and variety of FAQs and other articles that are constantly updated on our EventBank Helpdesk. What's more, your interns and other employees can sign up for our weekly EventBank Webinars to learn how to use the platform as well. Hope this helps. Thanks again for taking time to share your opinion. "Generally great tool but still need to improve"
sending out invitation letter one by one in outlook but in event bank i can do with one click. "Easy to Use, Great Product for Events"
The software has customization options that allow you to modify event pages and other things such as speakers, maps, bios etc. easily and quickly. Software speeds up check in processes and makes data input more effective and streamlined. Can't think of anything at the moment. Having platform in French would be helpful. We used EventBank for a networking event of about 100 people at our university. Event Cloud has all the features we needed at a very reasonable price. It has simplified and modernized our registration system. Members can edit there details themselves instead of sending to us. Membership has increased as it is online. Our finance department requires a specific tax invoice which is not available on the platform, it would be good if that is looked into. E mail campaign is being helpful and online registration is gearing up. The link of CRM with event and membership. The notification sending out to members. The online payment function. Members can pay for the evnt directly with their credit cards. * We monitor all Event Management Cloud from EventBank reviews to prevent fraudulent reviews and keep review quality high. We do not post reviews by company employees or direct competitors. Validated reviews require the user to submit a screenshot of the product containing their user ID, in order to verify a user is an actual user of the product.